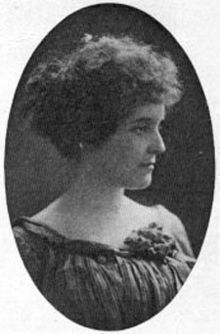 Women's Civic League of Portage, Inc.
1874 Zona Gale born in Portage, Wisconsin on August 26th. 1895 Graduated from the University of Wisconsin with a Bachelor of Literature degree. Joined editorial staff of Milwaukee’s Evening Wisconsin; eighteen months later joined the staff of the Milwaukee Journal. 1899 Awarded Master of Literature degree from the University of Wisconsin. 1901 Moved to New York and became a reporter for the New York Evening World. 1902 Employed as Edmund Clarence Stedman’s secretary; associated with writers in the Stedman literary circle, including Richard Le Gallienne and Ridgely Torrence. 1904 Broke off romance with Torrence after nearly two years of courtship; began move back to Portage. 1906 Published first novel, Romance Island. 1908-1909 Became engaged in civic and state affairs. 1912-1920 Became a member of Heterodoxy. Participated in numerous activities; Wisconsin Dramatic Society, civic projects, pacifism, woman’s suffrage, La Follette progressivism in Wisconsin, reform legislation; anti-racism and anti-semitism. 1921 Won the Pulitzer Prize for the stage version of Miss Lulu Bett. Appointed to Wisconsin Free Library Commission. 1922 Received honorary degree, Doctor of Letters from Ripon College. 1924 Campaigned for Robert La Follette, Sr., on the progressive third-party ticket. 1925 Influenced the selection of Glenn Frank as president of the University of Wisconsin. 1928 Married William L. Breese of Portage. 1929 Her father died September 18th. Awarded honorary degree from the University of Wisconsin. 1930 Received honorary degree from Rollins College, Florida. Covered the Republican National Convention in Chicago for the Milwaukee Journal. 1931 She and Breese adopted Leslyn, a five-year-old relative whose care Zona Gale had undertaken in 1926. 1933 Appointed as Wisconsin’s representative to the International Congress of Women. 1936 Embroiled in controversy over Glenn Frank’s dismissal the the University of Wisconsin. 1938 Died of pneumonia December 27th in a Chicago Hospital; buried in Silver Lake Cemetery, Portage, Wisconsin.